Bespoke assessment tools, such as interviews, online application forms or situational judgment tests. WorkLife Consulting Ltd. is a London-based consultancy practice owned by Almuth McDowall, BSc, MSc, PhD, CPsychol, AFBPsS. Almuth sees herself as a science-practioner who is committed to making the world of work a better place. Challenged by her then three year old daughter that she is “not really a doctor as she can’t mend broken arms”, Almuth explained “But I can help businesses to make their people happy!”. Almuth is a Senior Lecturer at Birkbeck College, part of the University of London. She teaches in occupational psychology at undergraduate and postgraduate level. She is also a qualified assessor for the BPS test user certificates of competence in Occupational Testing for Ability Tests practitioners and a qualified test user herself on a range of instruments; see the Psychological Testing Centre web-site for further details. 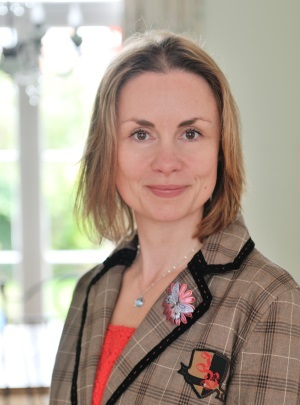 Almuth also holds certificates in coaching, which feed both into her educational and practical work, and is a Chartered Psychologist, and Registered Occupational Psychologist with the Health and Care Professions Council, HCPC. Follow Almuth on Twitter and LinkedIn. WorkLife Consulting aims to promote the cross fertilisation between research that is rooted in psychological theories and current concerns in practice. Almuth is committed to the core essence of applied psychology: a thorough research- and evidence based approach. This is critical ensuring that what we do has a sound basis, to demonstrate the value and effectiveness of what we do, and the alignment of tangible outcomes for organisations and employees alike. Put simply, we put the welfare of employees and the places they work in at the core of any activities or recommendations. We also emphasise the recognition that work, whilst an integral part of our lives, it not the be all and end all. If we really want to move organisational practice forward, we have to recognise that we need to take an integrated perspective to work, by also recognising people’s personal needs and wants. managing organisational change and development. With Professor Stephen Palmer: The Coaching Relationship: Putting people first.